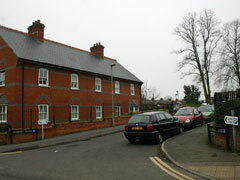 Goodall Close is a small residential area in Henley. 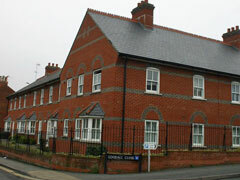 It's a fairly new addition to the town having been built on the former Southfield site of The Henley College. 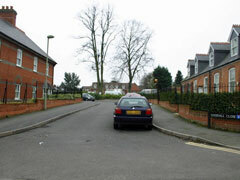 The entrance to Goodall Close showing the residential housing in the distance that is situated adjacent to the long stay car park. The terraced houses that run along Greys Road are modern buildings that have been designed to blend in with the existing older terraces. The entrance to Goodall Close taken from its junction with Greys Road.